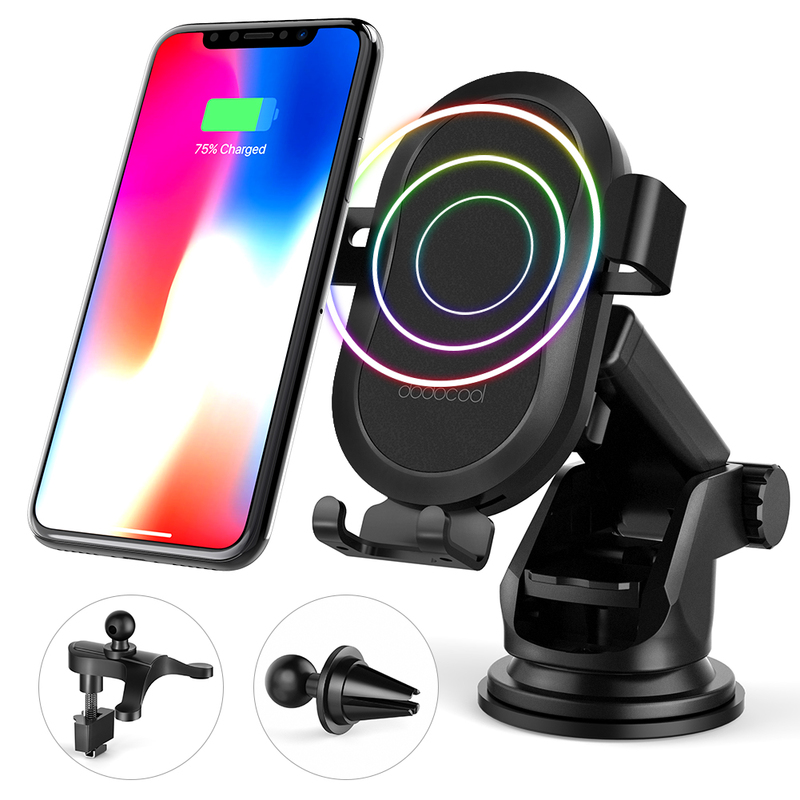 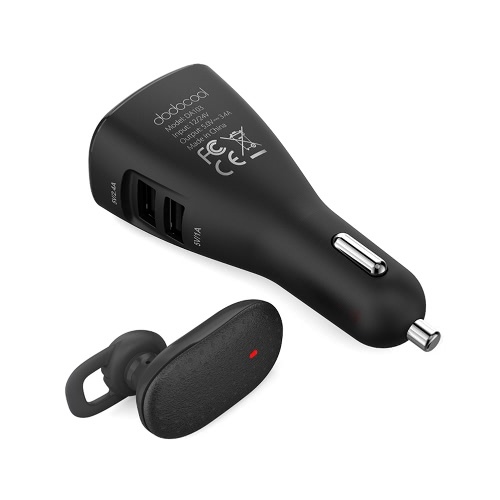 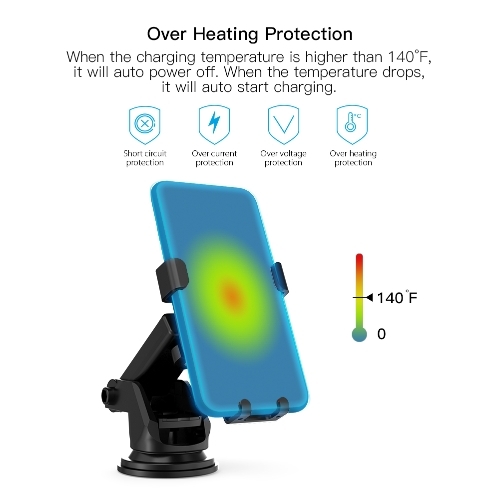 dodocool 10W Fast Wireless Car Charger allows you to charge your fast wireless charging supported devices up to 1.5 times faster than using normal wireless chargers. 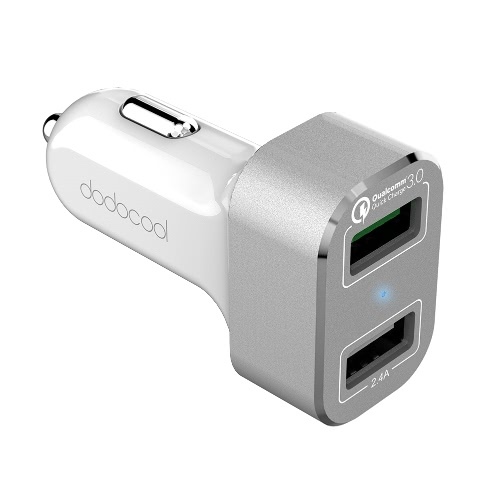 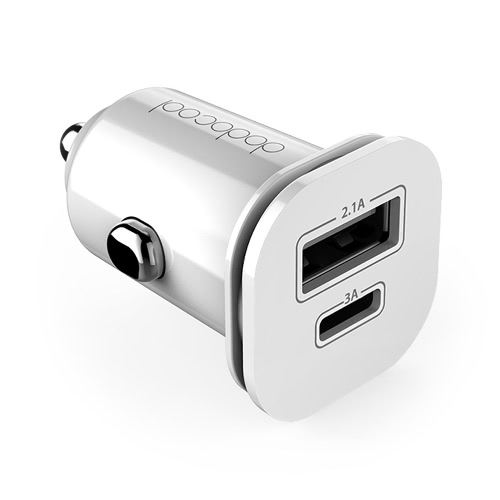 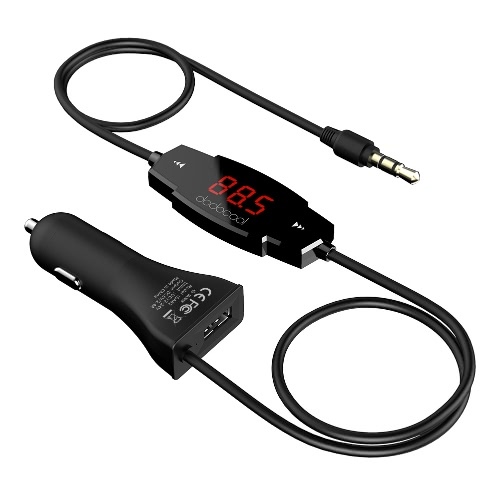 Charge your Qi-compatible devices without having to connect your phone to a cable. 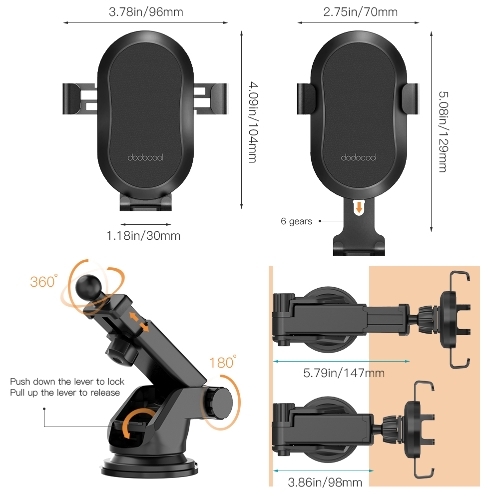 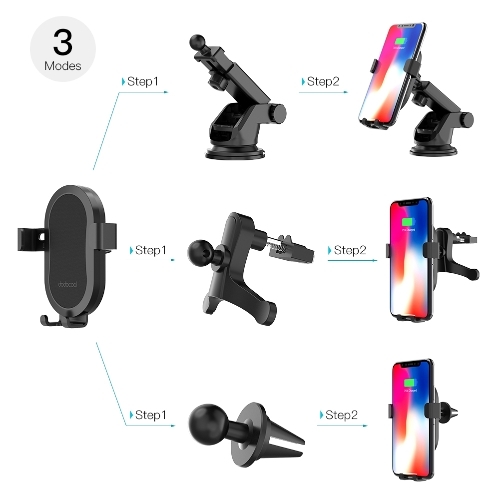 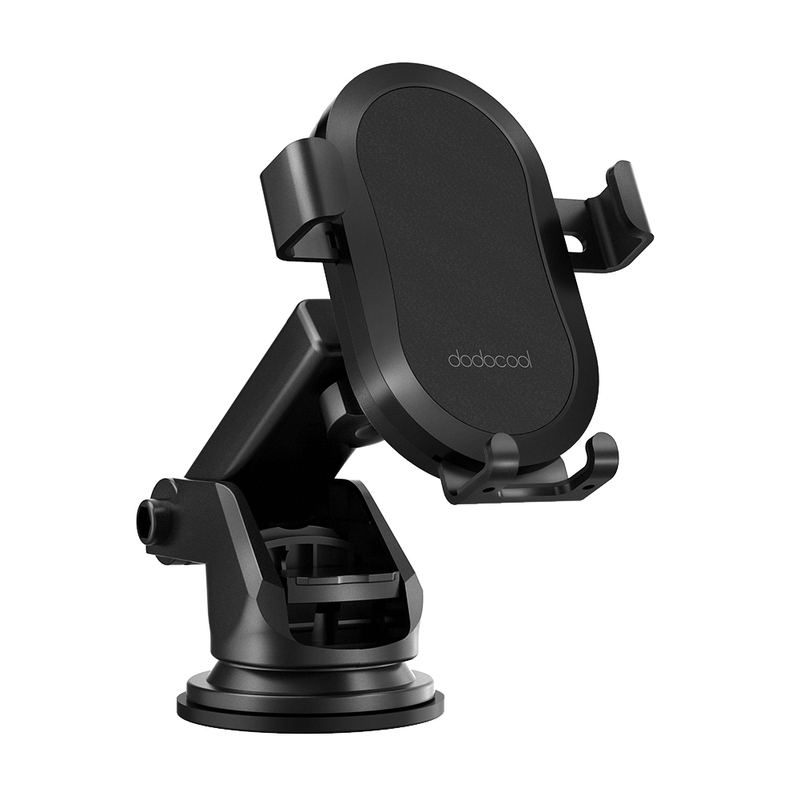 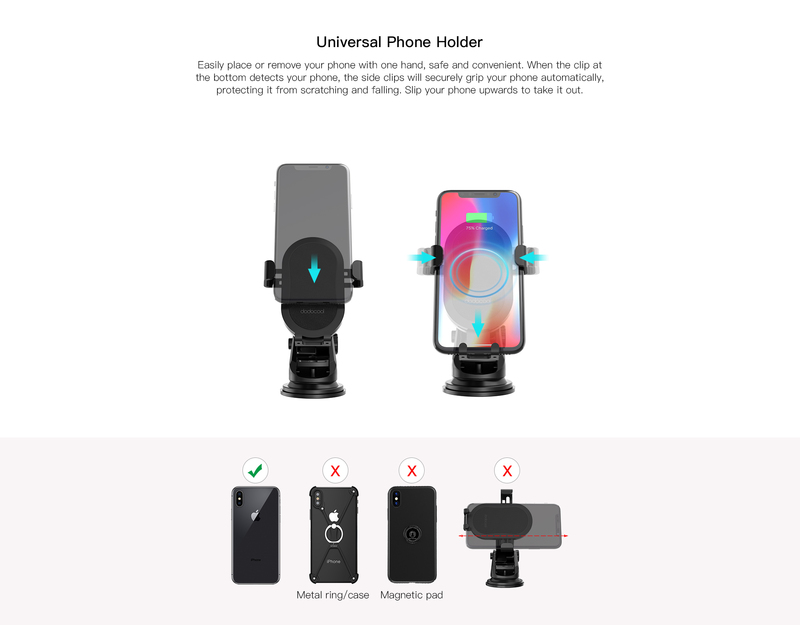 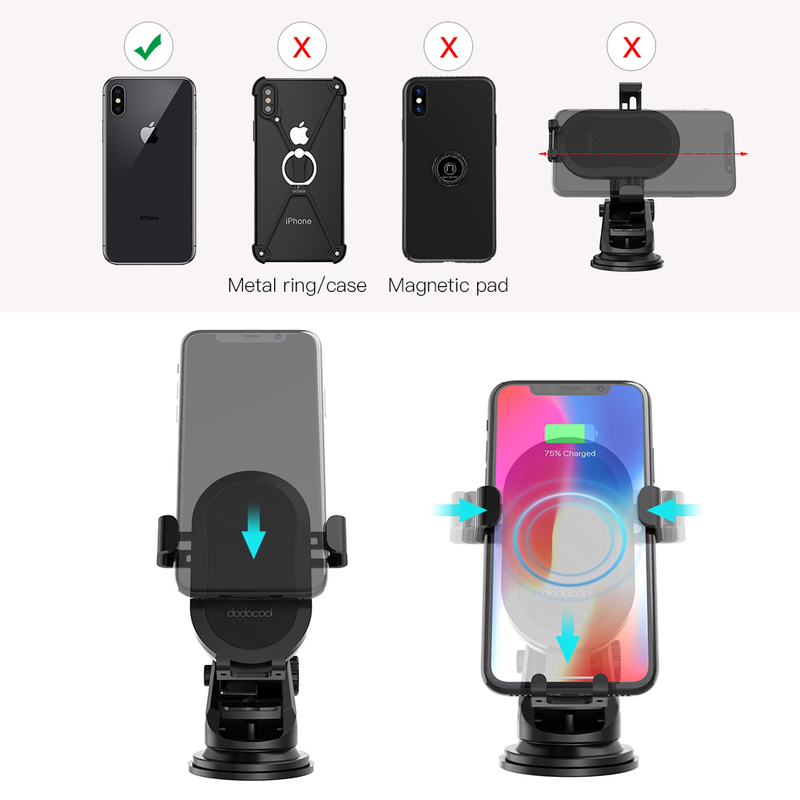 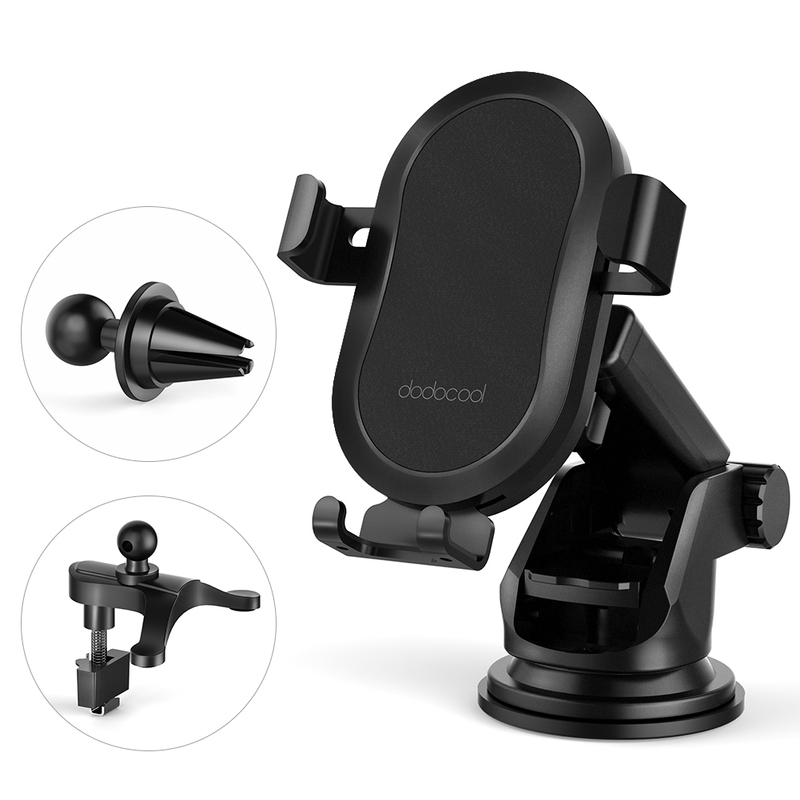 Included two air vent mounts and one suction mount enable you to flexibly adjust viewing angles. 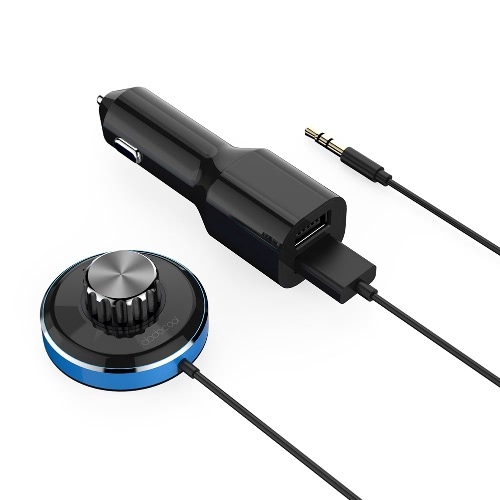 It is an extremely convenient and versatile wireless charging solution at home, in the office, or in a car. 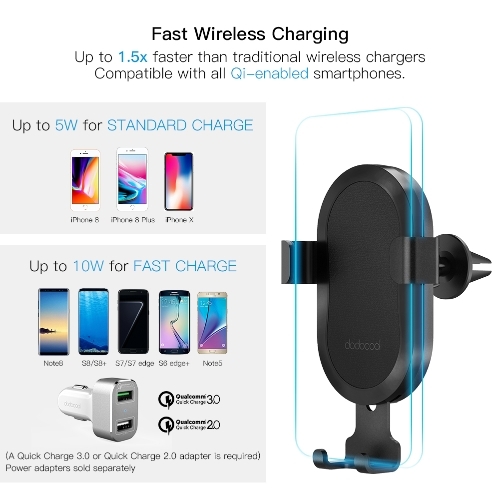 Fast wireless charging with up to 10W output is only suitable for Samsung Galaxy S9+ / S9 / Note8 / S8 / S8+ / S7 edge / S7 / Note5 / S6 edge+, up to 1.5 times faster than using a standard wireless charger, reducing total charging time by up to 50 minutes. 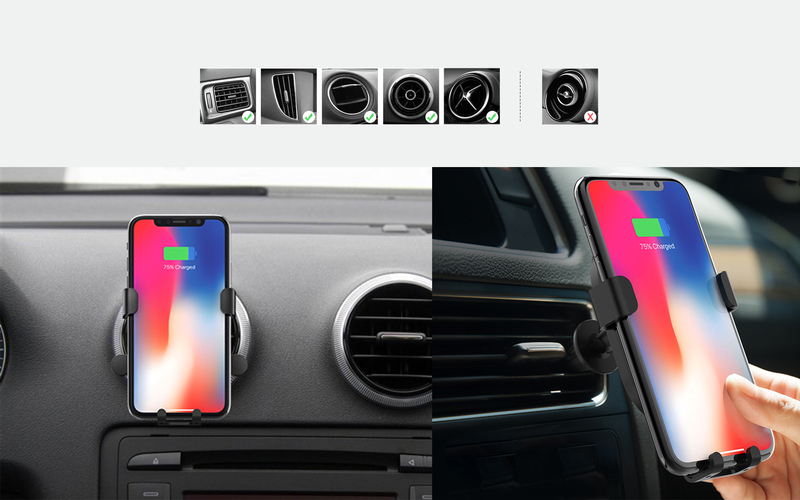 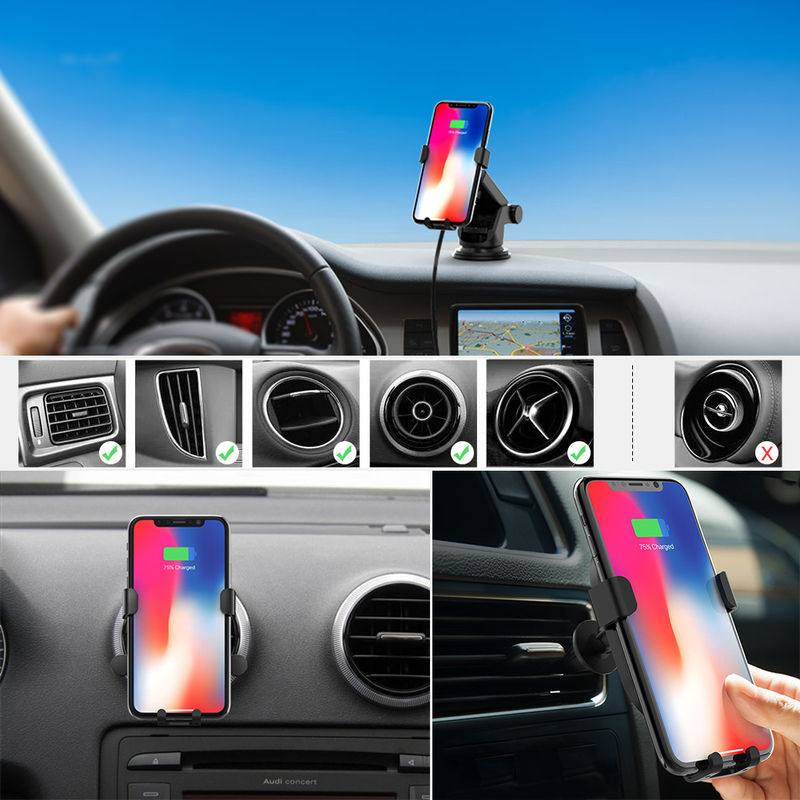 Standard wireless charging with up to 5W output is suitable for other Qi-enabled devices, such as your iPhone X / iPhone 8 Plus / iPhone 8 and Samsung Galaxy S6 edge / S6.